“The staff were so lovely helpful when I was so nervous and a hundred questions. They called to make sure I was ok after, I had never had anyone do that before. I could tell they really cared." 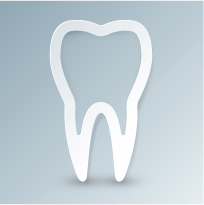 What is a dental extraction or tooth removal? A dental extraction is the permanent removal of a tooth from its socket in the jawbone. Why is a dental extraction performed? Some teeth are extracted because they are severely decayed; others may have advanced periodontal disease, or have broken in a way that cannot be repaired. Some teeth may need removal because they are poorly positioned in the mouth (such as impacted teeth), they may be an extra tooth or may need to be removed before orthodontic treatment. Are some tooth extractions more difficult than others? Sometimes tooth removal is routine where it is easily visible, can be grasped by forceps and comes out in one piece. Some teeth may require more of a surgical procedure because they may be underneath gum and bone. They may have to be removed in pieces and some of the surrounding bone might need to be removed as well. What does it feel like having a tooth extracted? At the time of extraction tooth, jawbone and gums that surround the area are numbed with a local anaesthetic. During the extraction process you will feel a lot of pressure. This is from the process of firmly rocking the tooth in order to widen the socket for removal. You will feel the pressure without pain as the nerves that transfer pain have been numbed but the nerves that transmit pressure are not really affected. Are teeth extracted in the dental chair or hospital? We know that everyone is different and that they want their teeth removed differently so we offer the choice of treatment n the dental chair or under general anaesthetic at the day surgery next door so you can wake up and be done with it if that what you would prefer. Am I on my own after my tooth is taken out? When you leave our doors you’re not on your own we keep in contact to makesure you’re as comfortable as possible and are available to you when you need us.